By this time we knew we would have to be heading back to the south west as we had a music festival to attend in just over a week’s time. We decided to head inland and then south through the borders to complete a circuit albeit a bit faster on the return leg. Our next stop was Carrog Station campsite, yet another campsite next to a steam railway, where we shared the field with a 2CV club rally and a number of other families. The campsite was busy with people starting their summer holidays and a large group of children were playing football using jumpers for goalposts, until one group turned up with actual goalposts. They moved onto rugby later that evening and were still playing when the campsite was dark. 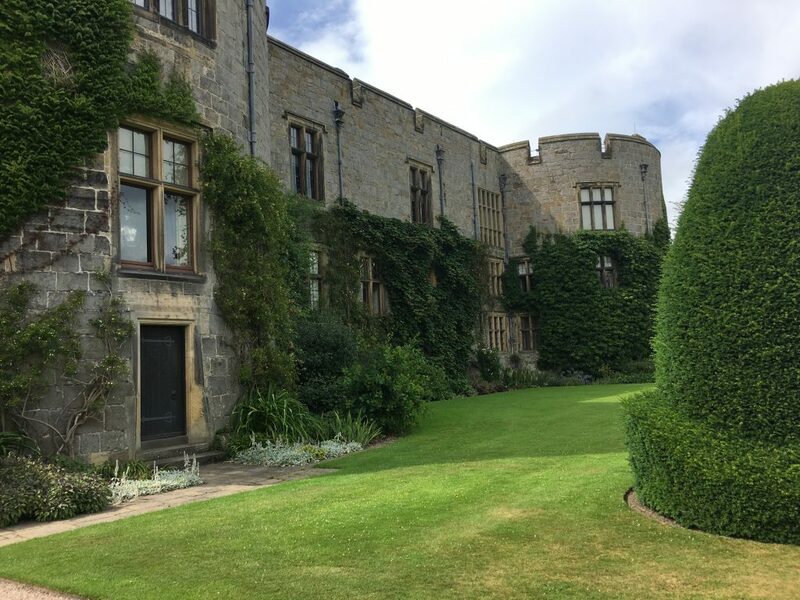 The next morning we moved on to Chirk Castle as early as possible. 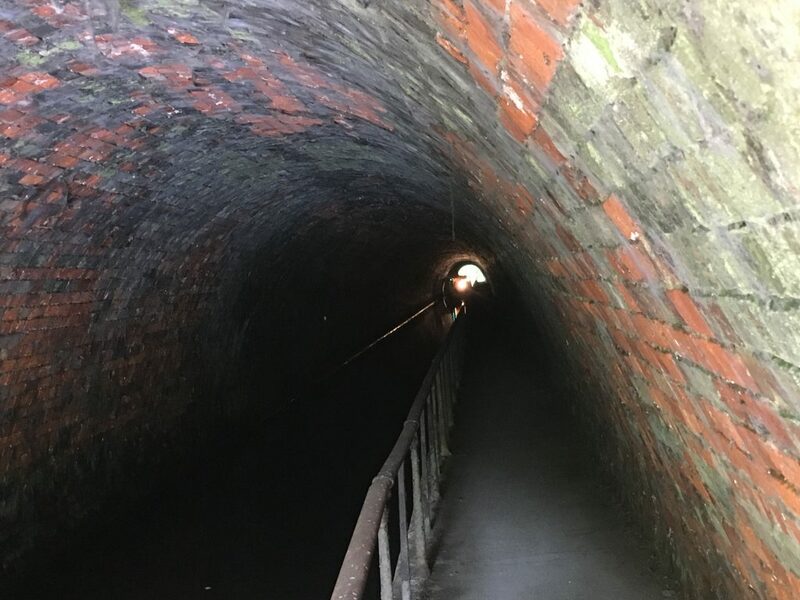 Here we parked the motorhome and got our bikes out for a ride along the Llangollen canal cycle route. 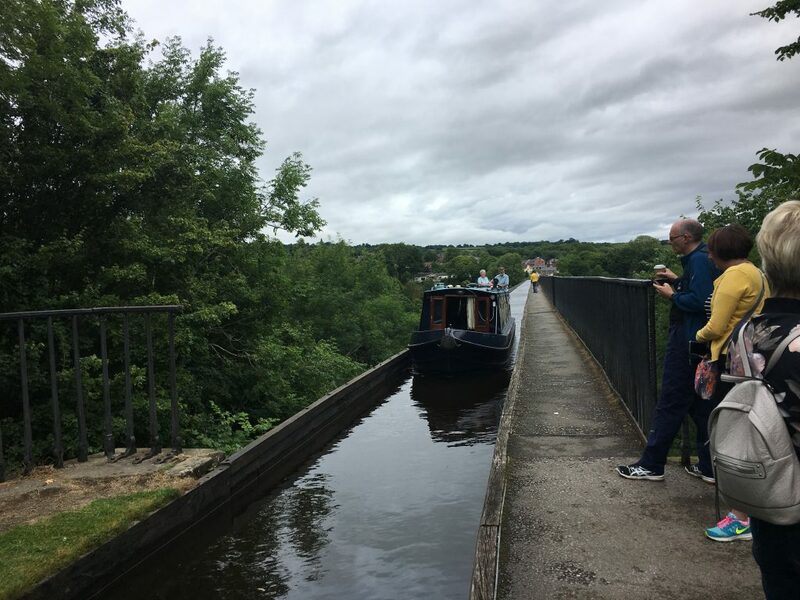 We followed a pleasantly green and shady canal tow path to Thomas Telford’s impressive Pontcysyllte Aqueduct where canal boats can cross the Dee valley and feel on one side as if they are suspended in mid air. Then we carried on through Llangollen to the Llantysilio falls, a spot we often see from the A5 in passing but have never visited. 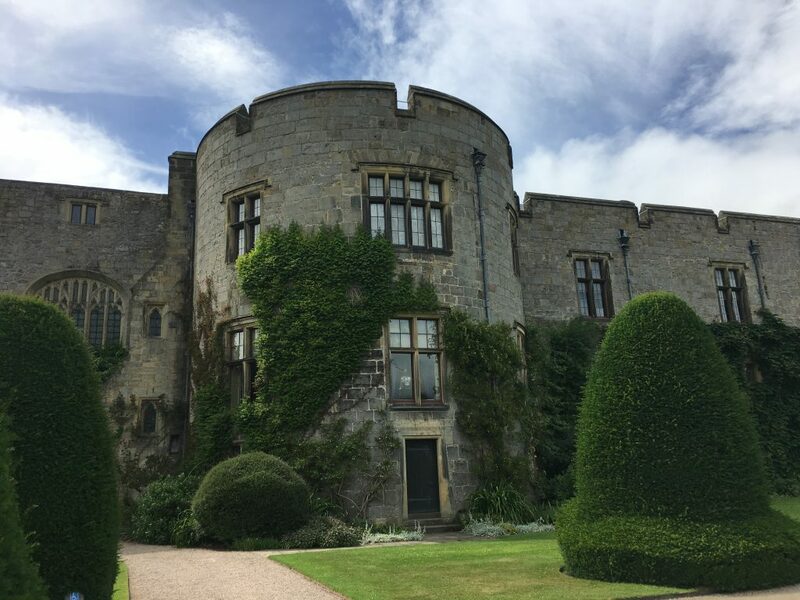 When we got back to Chirk Castle we spent the afternoon wandering around the National Trust property and gardens, enjoying the mixture of periods covered from medieval (and later attempts to create a medieval atmosphere) through to 20th century history. We moved further south after Chirk to stay near Presteigne; we initially attempted to find a spot in the town’s car park which allows overnight parking, but it was a small car park and we were too big to fit into a space and allow other vehicles to get around us so we headed back to the edge of the town where a small picnic spot provided our overnight location plus the company of another couple in their Burstner who regaled us with stories and pictures of their travels across Europe. In Presteigne it was the day of the summer fete which provided our evening’s entertainment, including some late night revellers waiting for their taxi. Their conversation was loud but amusing. From Presteigne we did a circular walk to take a couple of sections of Offa’s Dyke. I know that the Dyke is just an earthwork, but we were a bit disappointed that it wasn’t more impressive. The hot and humid weather didn’t help and we returned to Bertie sweaty and grumpy (I’ll let you guess who was which). 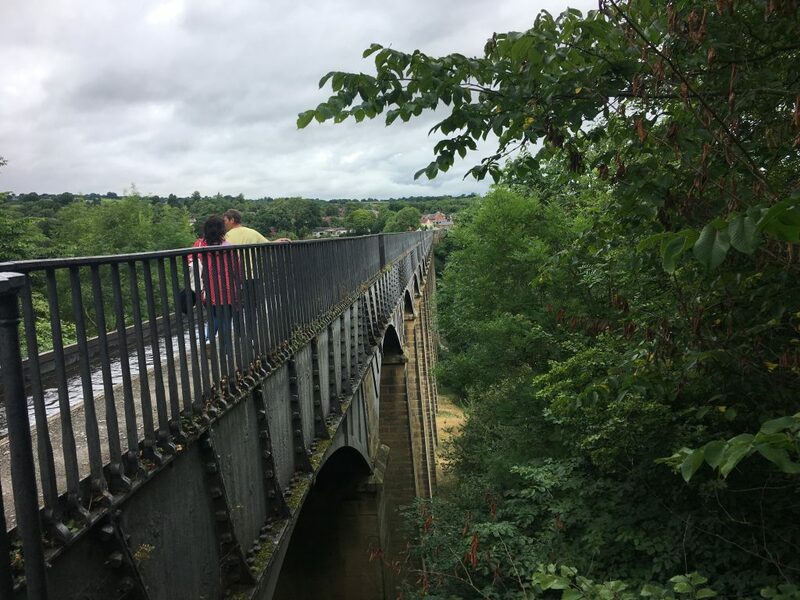 Our final stop in Wales was in the Wye valley again near the village of Brockhampton, in fact it wasn’t really in Wales, as the drive down south meandered between Wales and England several times. But we counted it as Wales as we hadn’t yet crossed the Severn Bridge, which was really the mark that we had left the country. 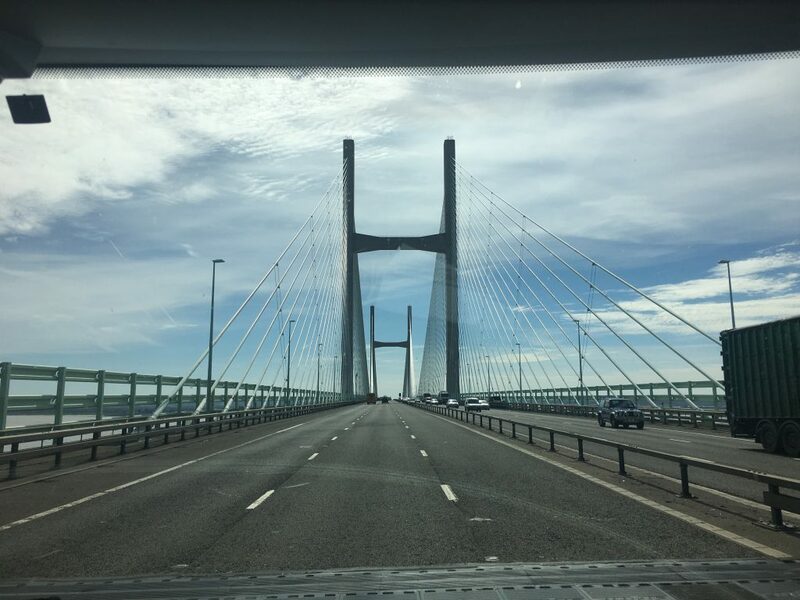 Leaving via the Severn Bridge – it’s free in this direction! We also had good news this week that we had received a full refund for Paul’s walking boots (see earlier post). Hats off to Millet Sports who were the retailer and dealt with our return very graciously and to Salomon who have a two year no quibble guarantee on their footwear, fingers crossed the current pair of boots will not have the same issues though.